What Is A Yurt And Why Do People Love It? 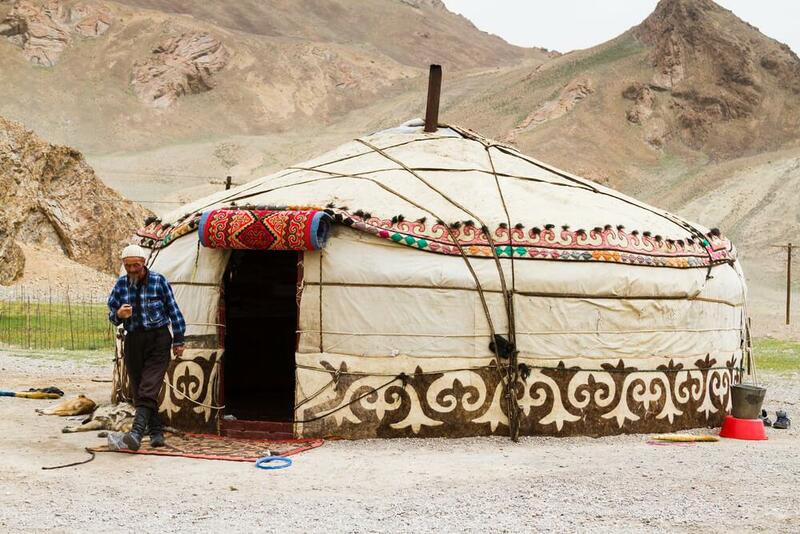 What Is A Yurt And Why Do People Love Living In A Giant, Circular Room? Yurts are affordable, eco-friendly, and more luxurious than ever. Are you not satisfied with any of the boxy houses your realtor thinks would be perfect for you? Perhaps you should consider a home with a circumference, rather than angles. Yurts, the ancient homes once built by nomads, have made a big comeback with people who want an affordable, eco-friendly place to kick up their hell. They were designed to be solid enough to serve as a temporary home, but could be deconstructed when it was time to move. While modern yurts use some of the same basic engineering principles, they are built to be permanent and use modern construction materials. Why Are Yurts Popular Now? Modern yurts in America are actually decades old. The first company to offer yurts, Pacific Yurts, was founded in 1978. But in the age of drywall, insulation, and indoor plumbing, why are we in the middle of a yurt renaissance? Since yurts use basic materials and construction techniques, it’s possible to construct one for anywhere between $10,000 to $50,000. The exact price will depend on the size of your yurt, where you’re building it, and what amenities and extra protection you want to spring for. But still, there are people who are building entire homes on their own little plot of land — and it costs the equivalent of a down payment for more conventional houses in their city. After all, rents are skyrocketing, and housing prices are far out of reach for most people who live in urban areas. So, more people who want to protect their bank account are considering yurts. Yurts in the United States were once viewed as the home of civilization-eschewing hippies and other people who didn’t mind roughing it. Insulation was poor, electricity was a bonus, and the less said about the bathroom situation, the better. Yurts are environmentally friendly by definition. Since they’re circular, they maximize interior square footage while using relatively few construction materials. Their small design uses engineering tricks to make the most out of every splinter of wood, and other sustainable materials reduce their environmental impact even further. Since they can be built on a wooden post and beam platform, as opposed to a permanent base, they can eventually be removed with very little impact on the land they’re built on. Some yurt-dwellers go beyond the eco-friendly aspects that are inherent in a yurt and add more green to their home. Choosing lumber that comes from a sustainably-managed forest can reduce the home’s environmental impact. Solar panels can even be added to the roof in order to produce green energy. While you may be dreaming of a yurt so it can afford you a life of minimalist simplicity , building one comes with its own set of complexities. Here’s what you should think about before you start your yurt journey. Local regulators have always viewed yurts as kind of weird, and they used to be reluctant to grant building permits. As yurts have gained popularity, that stance has softened. But since they’re an unconventional structure, you might still run into issues. For example, if your local planning department adheres to the older UBC (Uniform Building Code), there’s a chance they’ll give you more trouble about your yurt. If they use the more modern 2003 or 2006 ICC (International Code Council) codes, it’s more likely that you'll get your permits without a problem. It’s a myth that yurts can’t be used in cold environments. In fact, you can find plenty of yurts in Alaska. But if you happen to live in a place where wind gusts are strong or snow piles on roofs, you’ll need construction that can account for that. There are two main options. You can have a separate bathhouse outside. But if you don’t want to have to step outside to use the bathroom and your yurt is big enough, you can also frame out an interior bathroom with the help of a local carpenter. Like other homes not connected to a sewage system, you can have either a cesspool or septic tank on your property. Because of all these (and more) complexities, it’s a smart to get help from a yurt contractor before you start construction. If you build your yurt yourself, you might hurt yourself. But how can you know which contractor will actually help you? Most yurt contractors are true craftspeople who take pride in their work and want to build the finest home for you. But sadly, there’s a small minority who don’t know everything they should, and are more interested in making a buck than building something great. Here are some ways to choose the best yurt contractors. The North American Yurt Alliance (NAYA) is an organization that seeks to establish standards for the yurt industry and overcome common barriers to construction. Membership is this trade organization isn’t make-or-break, as many highly reputable yurt companies are not members, but membership does give you the confidence that they take both their work and their reputation seriously. Was the yurt construction on schedule? Did construction costs run over? Was customer service attentive and responsive? Have you experienced any problems with your yurt since it was built? It’s easier to get the truth when you ask for specific information. Of course, even if a yurt contractor has an excellent reputation, that doesn’t mean they’re the best fit for your needs. For example, if they’re best at building small, minimalist yurts, they probably won’t be able to help you with you want something with more amenities. Check to see if your vision and their experience match up. "Yurts are environmentally friendly by definition. Since they’re circular, they maximize interior square footage while using relatively few construction materials." Just one small purchase can put a dent in a really tall problem.